In this tutorial you will learn how to create a complete application with Radzen. A running version of the app can be found here: https://crm.radzen.com/. Support users of two roles - Sales Representative and Sales Manager. 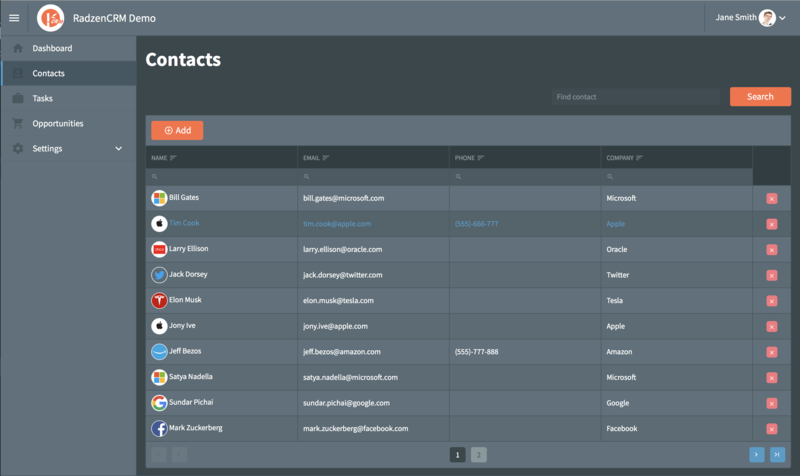 Contact management - add, search and update contacts. 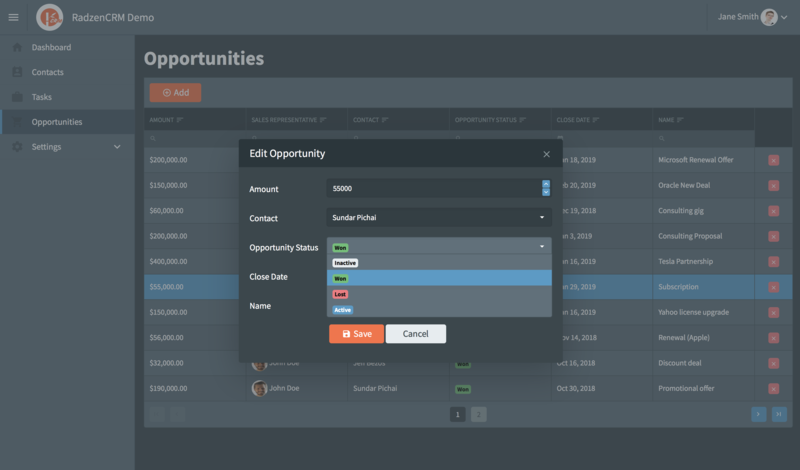 Opportunity management - create opportunities for existing contacts and change their status. 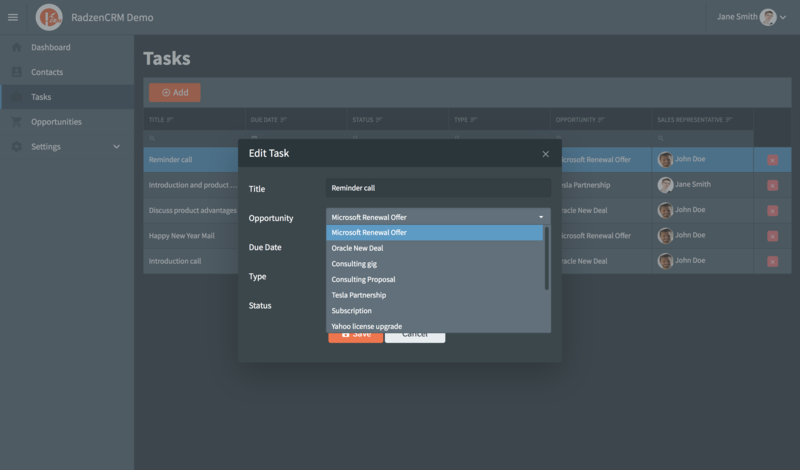 Task management - create and edit tasks (phone call, meeting etc.) associated with opportunities. 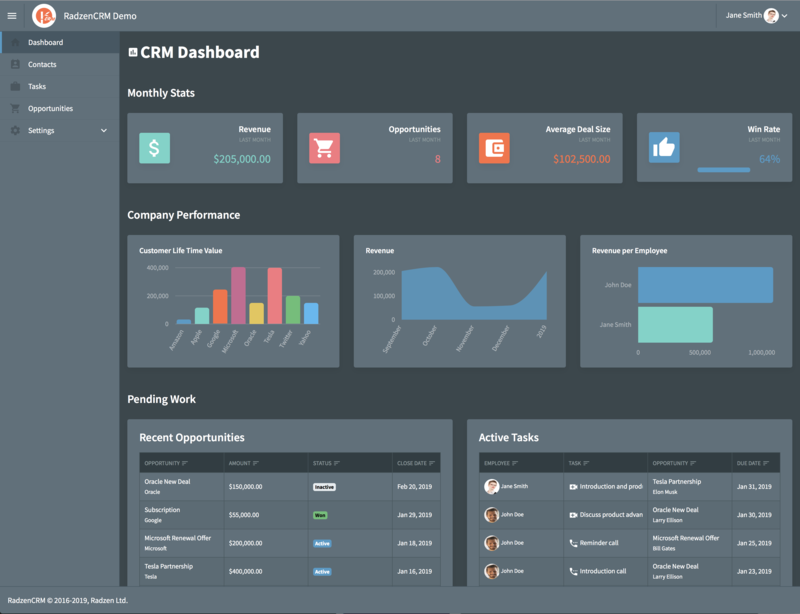 Display data-driven company performance metrics in a dashboard. A running Microsoft SQL Server instance (the free Express version will suffice). SQL Server Management Studio (or some other tool that supports database table design). Understanding of C# and Entity Framework core (to create the custom DB queries needed by the dashboard). CRUD page scaffolding from a database to automatically generate most of the application. 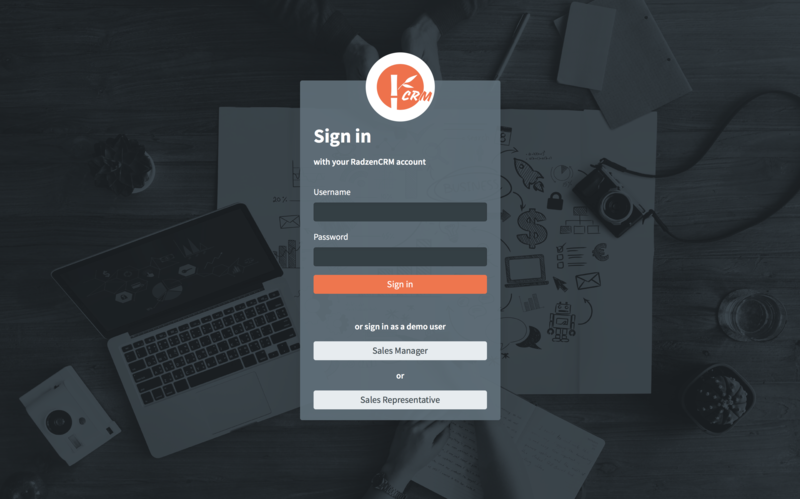 Security to support user management, login and roles. WYSIWYG Design-time to customize the application visually. Custom methods to get real-time performance metrics via database queries. Database Shows how to create the database, enable security and set up relationships. Customize security Allow the users to upload their picture and set their first and last name, assign page permissions. Customize CRUD pages Apply various visual customizations, implement contact search. Create dashboard Create a dashboard page that uses charts, data grids and cards to display some vital performance metrics. Query the database with custom code to get the required data. Finishing touches Customize the login screen, display the picture of the logged in user, customize the navigation menu. If you are impatient you can check the final result in the Radzen Github repository.